AutoVillage.co.uk is constantly in dialogue with a brilliant selection of used Peugeot 108 car dealers in Darlington so we are bound to be partnered with a dealer in your local area or the towns which surround it. Find your next Used Peugeot 108 Car in Darlington, browse through the cheapest used listings and the largest selection of Used Peugeot 108 Cars in Darlington. If you're looking for a second hand Peugeot Cars in Darlington, look no further than AutoVillage, with over 500,000 used cars listed online, no one tries harder to help you. 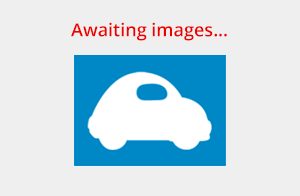 Peugeot 108 1.0 Access LOW MILES, GOOD ECONOMY. Peugeot 108 1.0 Allure 5dr ONLY 50 MILES, 2022 PEUGEOT WARRANTY. Gone are the days when you used to have to dedicate hours of searching in order to find a good deal on a Peugeot 108 Used Car. Now you can be presented with hundreds of Used Cars with the click of the mouse. AutoVillage has done a great deal in the way of simplifying the process as much as possible. You can personalise your search as much as you want meaning that you will not have to sift through numerous cars which will be of no interest to you, you do not have to deal with pushy sales persons whilst all the while providing the Best Prices Online for Used Peugeot 108 Cars. Previously searching for a used Peugeot 108 was a task in itself, it involved you traipsing from dealership to dealership all day long without a guarantee of finding what you really wanted. Now however, with our easy search, you can save time and a lot of stress as you can do all of your searching online, in minutes instead of hours or even days. AutoVillage has a huge database of used Peugeot 108 cars, from dealers both local and far away, who sell their Used Cars through our site. This means we can provide you with a wide selection of Used Peugeot Cars to choose from. Therefore if you are thinking of buying a Second Hand Peugeot 108 Car in Darlington or any make of Used Car we can help.